The founding of the United States of America has been deemed a secular event and at least a generation of young Americans has been taught it as a fact. 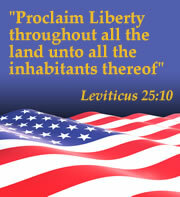 It ias time you and I defend and promote the truth that The Declaration of Independence is a Christian document. Let this post be our commencement. Those proclaiming or looking for a secular Declaration of Independence are about to lose the ground on which they stand blown away. 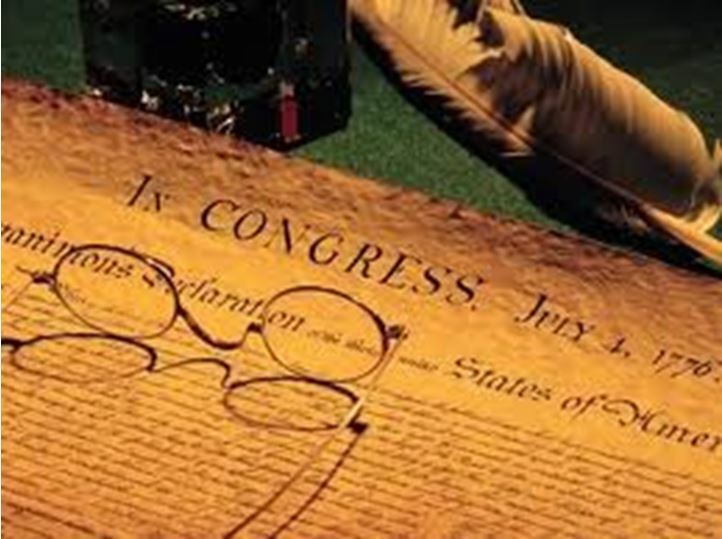 By the end of this Post they, like you, will know the powerful truth about the Christian character of the Declaration of Independence and of the men who adopted it. Gary T. Amos, J.D., is the living authority on the Biblical basis of Declaration of independence. Those led to study beyond this post will do no better than reading his book, Defending the Declaration: How the Bible and Christianity Influenced the Writing of the Declaration of Independence. Here are the basics in this delightful video: God as Supreme Judge—Defending the Declaration of Independence. Did you hear him? Listen! Did you hear? These “fathers” were not founders, they were mid-wives! Notice it is not, “conceived in liberty;” it is, “conceived in Liberty!” Liberty is from God. Actually, it is more than that. Liberty is a quality of God. That capitalization is not used casually. Liberty was born from above! A clear reading of the Declaration of Independence and theConstitution for the United States of America shows that, from the beginning, Americans have acted with the confidence that We the People have a sovereignty under God and the government together with the officers of that government (at any level) are subject to We the People. That American reality is called into question today by the secular forces at large and, too often, from Christian pastors and leaders. 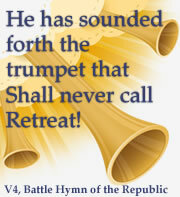 But for the American revolutionaries (and us), rights are gifts from our Sovereign God. Government cannot give what it does not have. Governments can only take. On the other hand, for the French revolutionaries, and, in our time, the left (including our courts) and Islam, rights are made up by an all-powerful government. Rights are parceled out to the supplicants. What they always do, however, is impose restrictions and penalties and taxes and regulations that choke and smother Liberty. Let us commit to turn our country back to her birthright and her promise. Now, enjoy with me the 266 words of Lincoln’s Gettysburg Address. 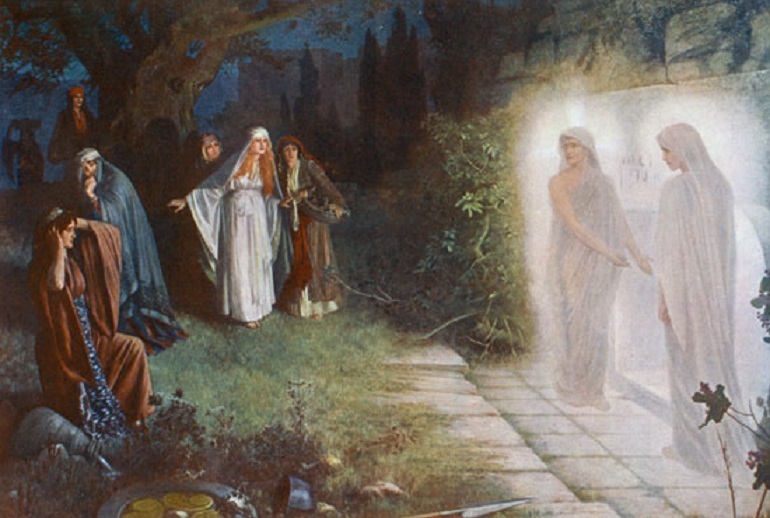 At the end of the Sabbath, as it began to dawn toward the first day of the week, came Mary Magdalene and the other Mary to see the sepulcher. And behold, there was a great earthquake, for the angel of the Lord descended from Heaven, and came and rolled back the stone from the door, and sat upon it. His countenance was like lightning, and his raiment white as snow.And for fear of him the guards shook and became as dead men. 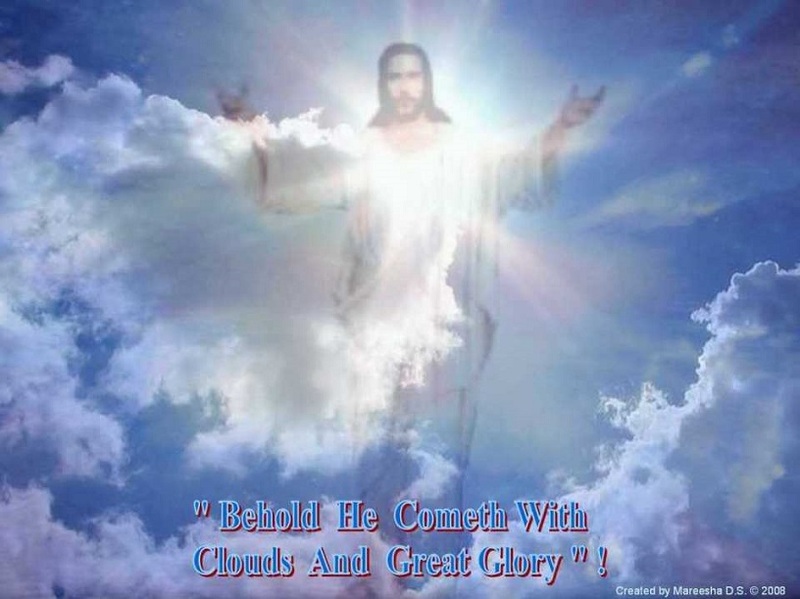 “All power is given unto Me in Heaven and on earth. Go ye therefore and teach all nations, baptizing them in the name of the Father, and of the Son, and of the Holy Ghost, teaching them to observe all things whatsoever I have commanded you. And lo, I am with you always, even unto the end of the world.” Amen. Every Christian is changed because He lives so shall we live with Him eternally in Heaven. But, what about non-Christians? I did say above, His resurrection “touches the life of every single human being in some way.” Here are just two examples: time and women. From the time humanity fell into sin (Genesis 3:1-7) women have not been treated equally. They were, of course, created equally with men. Jesus life on earth was the only break women really ever had. Jesus’ life and recorded ministry was the example of equal treatment of “male and female” created different but equal in His image. Women are to this day not treated equal. Most women and girls within Islam are slaves with no rights. But in the rest of the world, Christian and heathen, women are treated better. Men, who have never heard of Christ, know women should be accorded at least respect and kindness. In the West, especially the United States, women led the effort for equality in the 19th Century. The notable leader was a Quaker, Susan B. Anthony. It seems clear that without Christ women all over the world would be living in the darkness that is the life of Muslim women. Tomorrow we observe greatest act of love in creation. 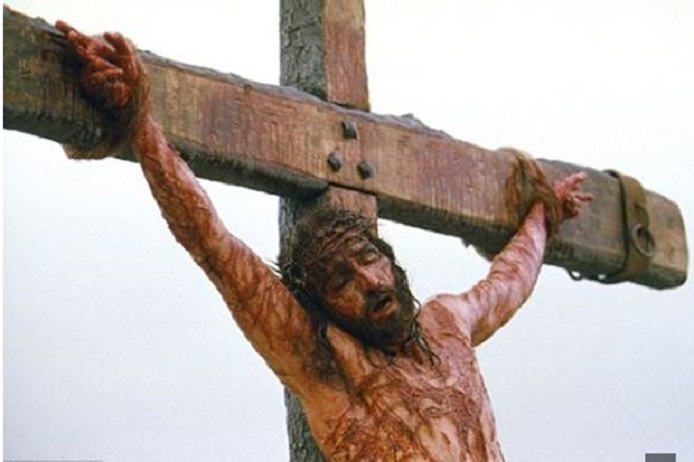 It is known throughout Christendom as Good Friday. Some would say killing anyone on a cross, let alone One who is perfectly innocent, is the opposite of good. These selections of scripture help me explain it. Perhaps they will help you as well. Let’s start with Abraham, who had been commanded by God as a demonstration of his faith to sacrifice his son Isaac on the holy place, Mariah, in Genesis 22:7-13. And Isaac spoke unto Abraham his father and said, “My father!” And he said, “Here am I, my son.” And he said, “Behold the fire and the wood; but where is the lamb for a burnt offering?” And Abraham said, “My son, God will provide Himself a lamb for a burnt offering.” So they went both of them together. And they came to the place which God had told him of; and Abraham built an altar there, and laid the wood in order, and bound Isaac his son and laid him on the altar upon the wood. And Abraham stretched forth his hand, and took the knife to slay his son. And the angel of the Lord called unto him out of heaven and said, “Abraham, Abraham!” And he said, “Here am I.” And He said, “Lay not thine hand upon the lad, neither do thou any thing unto him; for now I know that thou fearest God, seeing thou hast not withheld thy son, thine only son, from Me.” And Abraham lifted up his eyes and looked; and behold, behind him a ram caught in a thicket by his horns. And Abraham went and took the ram, and offered him up for a burnt offering in the stead of his son. 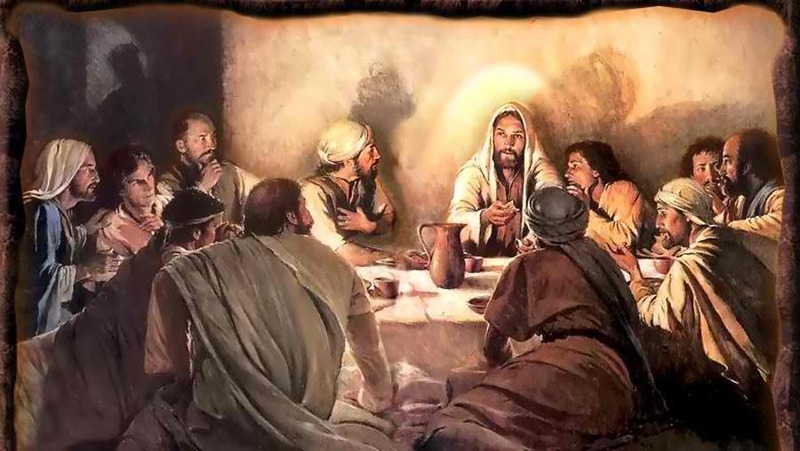 The Passover: . 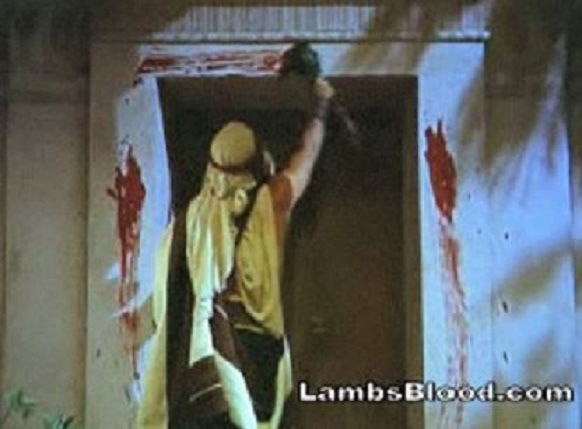 . . when He seeth the blood upon the lintel and on the two side posts, the Lord will pass over . . . The children of Israel, following God’s command, are spared from the visit to Egypt from the Angel of death to be delivered from Egypt. This is the account from Exodus 12:5-7, 21-32. Your lamb shall be without blemish . . . and shall kill it in the evening. And they shall take of the blood, and strike it on the two side posts and on the upper door post of the houses . . .
Then Moses called for all the elders of Israel and said unto them, “Draw out and take you a lamb according to your families, and kill the Passover. And ye shall take a bunch of hyssop, and dip it in the blood that is in the basin, and strike the lintel and the two side posts with the blood that is in the basin; and none of you shall go out from the door of his house until the morning. 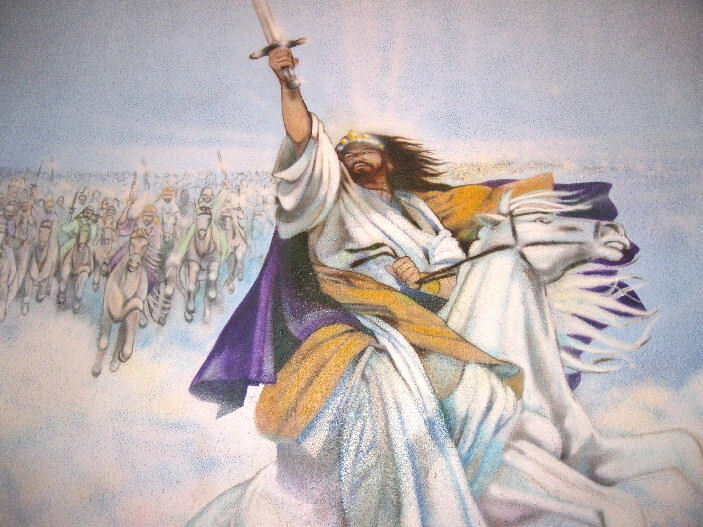 For the Lord will pass through to smite the Egyptians; and when He seeth the blood upon the lintel and on the two side posts, the Lord will pass over the door and will not suffer the destroyer to come in unto your houses to smite you. And ye shall observe this thing as an ordinance to thee and to thy sons forever. And it shall come to pass, when ye come to the land which the Lord will give you, according as He hath promised, that ye shall keep this service. And it shall come to pass, when your children shall say unto you, ‘What mean ye by this service?’ that ye shall say, ‘It is the sacrifice of the Lord’s Passover, who passed over the houses of the children of Israel in Egypt when He smote the Egyptians and delivered our houses.’” And the people bowed their heads and worshiped. And the children of Israel went away, and did as the Lord had commanded Moses and Aaron; so did they. And the disciples did as Jesus had appointed them, and they made ready the Passover. Now when the evening had come, He sat down with the twelve. . .
Get your mind around that! 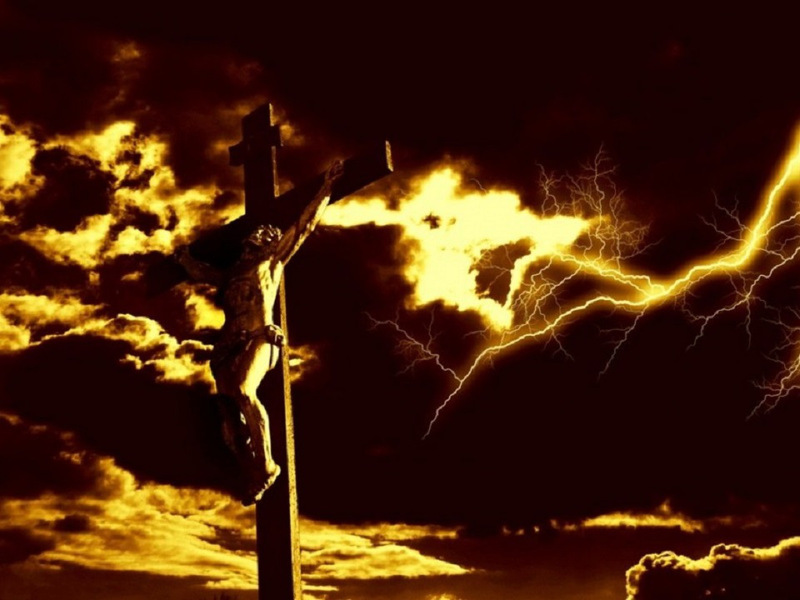 Jesus does not say what the sign of the Son of man is but I have never heard anyone dispute that it is the cross. I believe all on earth will see that sign. It is hard to imagine the image He vividly paints. How can we see the glory of “the clouds of heaven.” Notice this Twenty First Century King James version (which I use) capitalizes Heaven whenever the context is that realm where we will dwell forever with God. The context, in these verses, for heaven, is created universes, galaxies, and this solar system. Perhaps you are not certain you are His elect. Clear that up now. In prayer receive His forgiveness for your sin and confess Him as your savior.